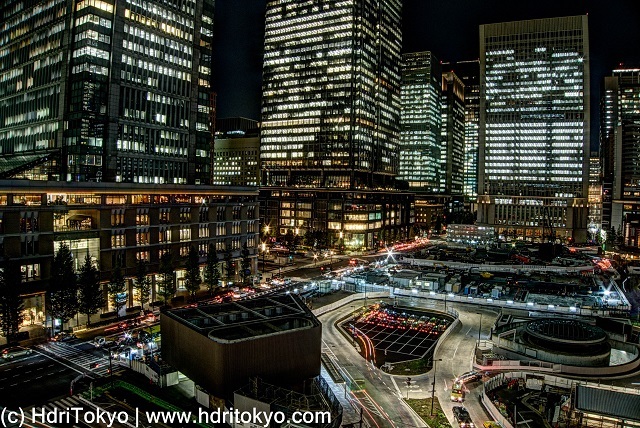 Marunouchi is a important business district located between Imperial Palace and Tokyo Station. In that roof garden, using tripod is not permitted, so I held my camera on the top of the fence. Shooting date : October 21, 2016.